The Kangra Coop. 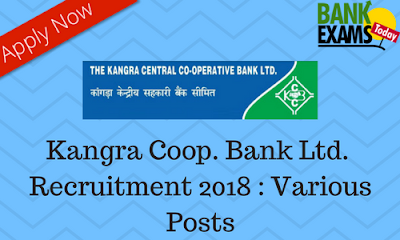 Bank Ltd. has recently released a notification for various posts. Click Here to download Notification(Jr. Secretary). Click Here to download Notification(General Manager and Assistant General Manager).